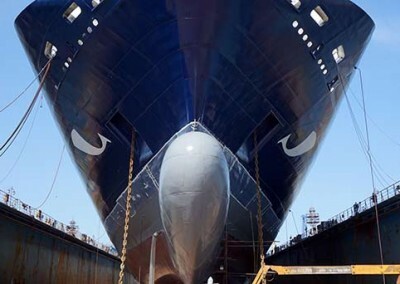 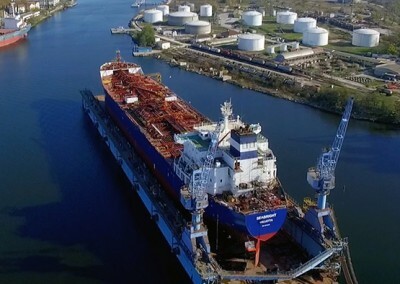 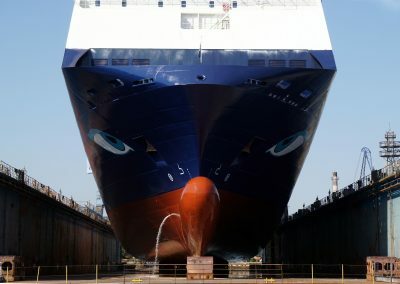 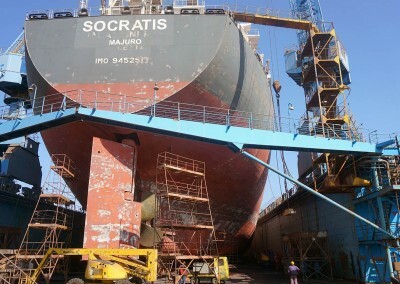 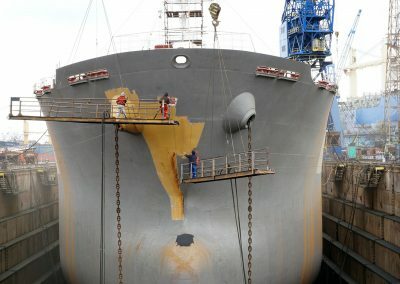 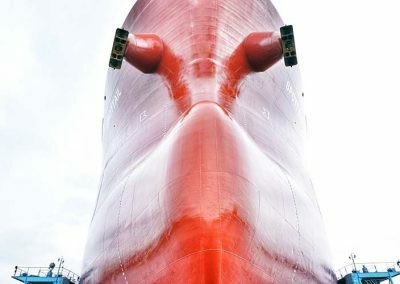 M/V NEPTUNE ODYSSEY | Odessos Shiprepair Yard S.A. 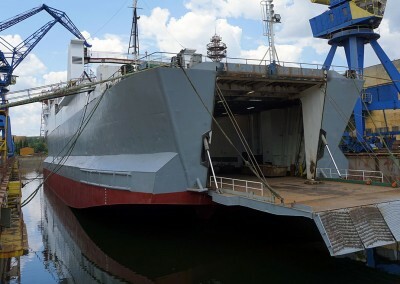 Floating dock No. 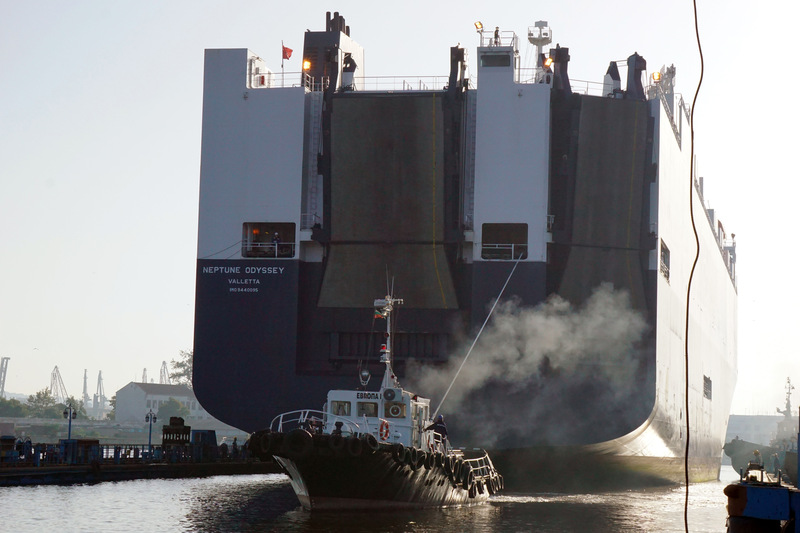 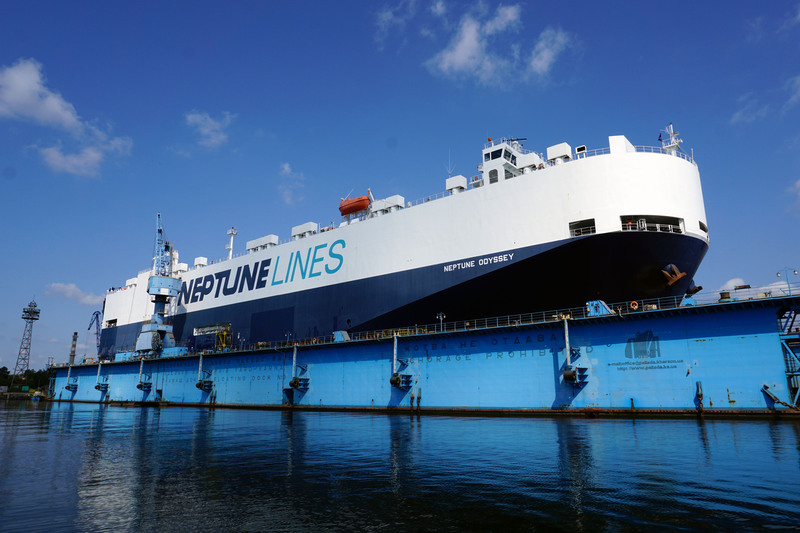 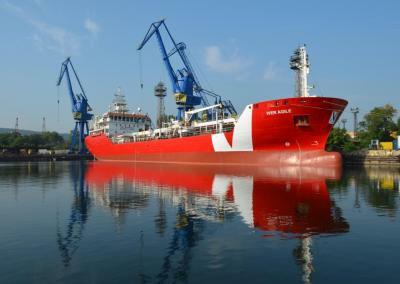 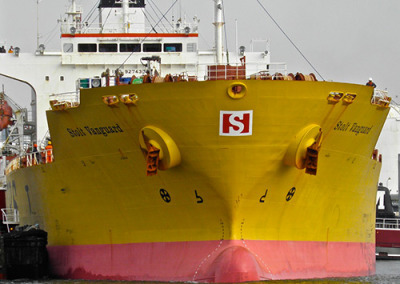 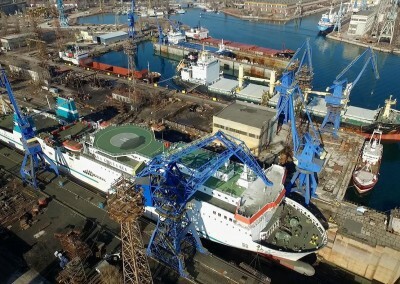 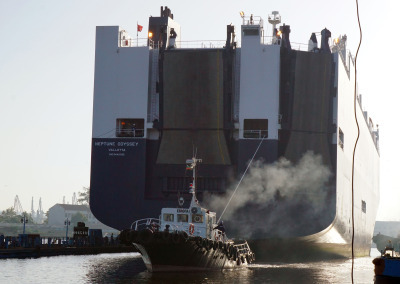 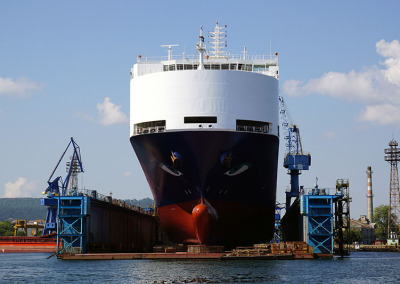 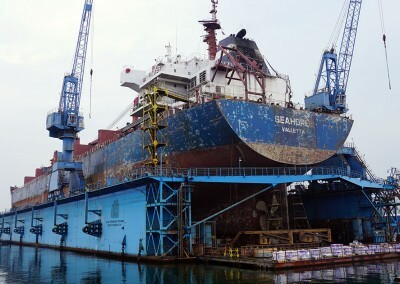 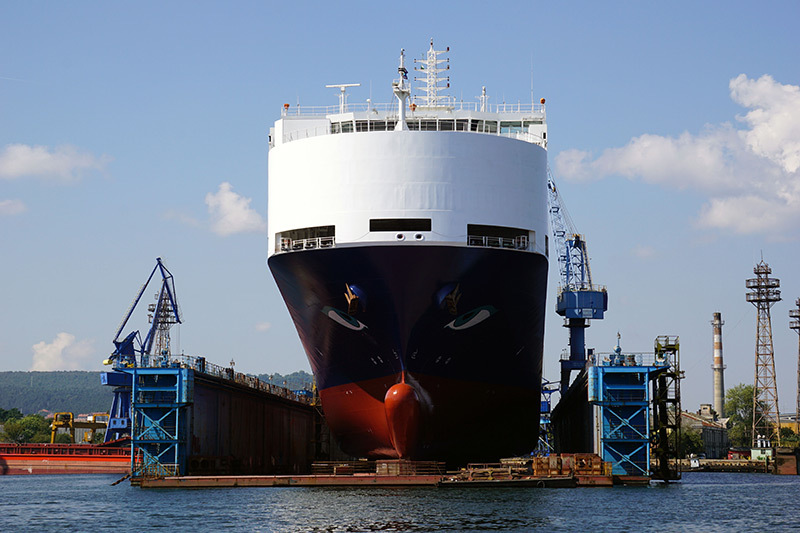 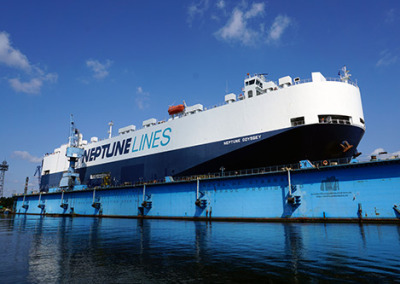 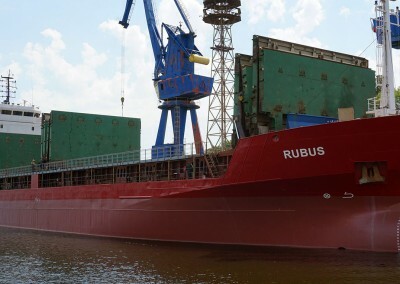 3 of Odessos Shiprepair Yard S.A. accommodated for repair and maintenance the vehicles carrier Neptune Odyssey. 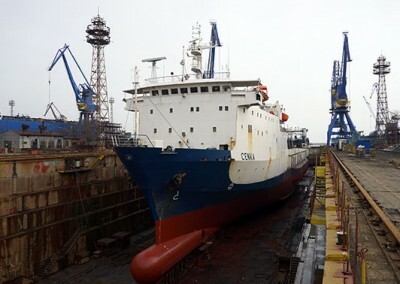 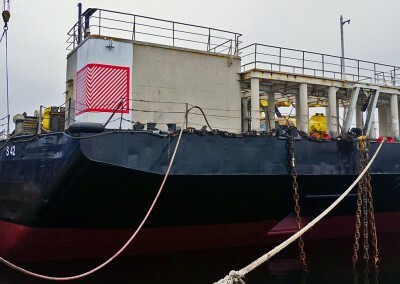 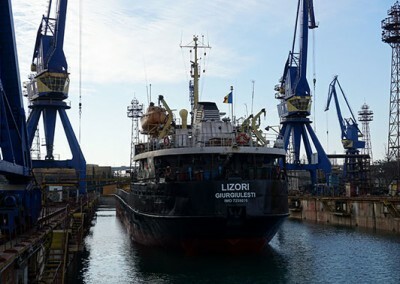 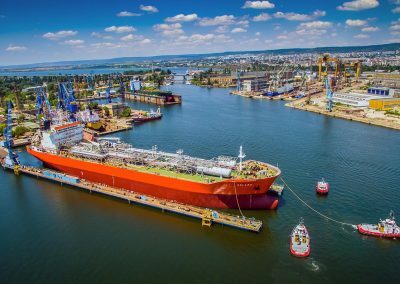 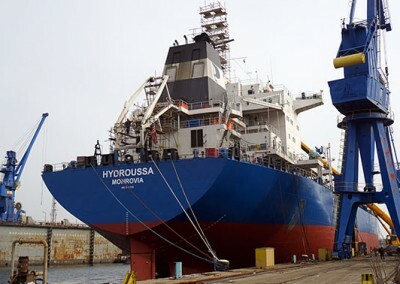 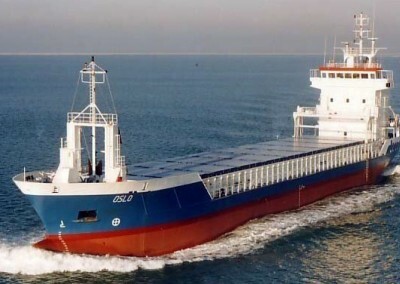 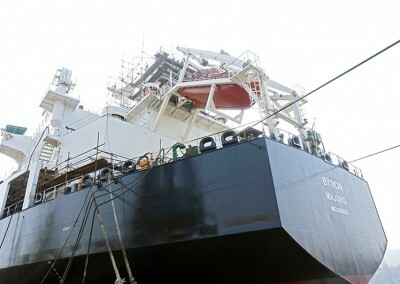 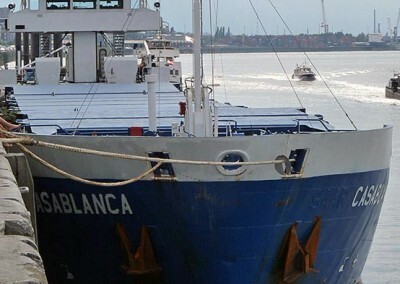 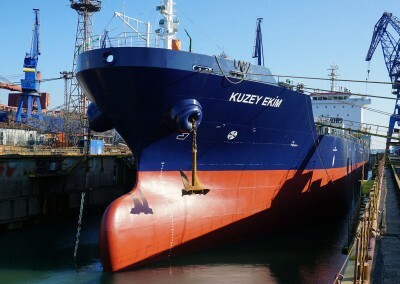 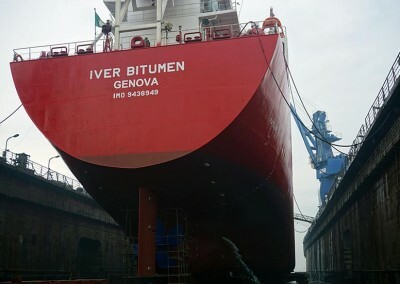 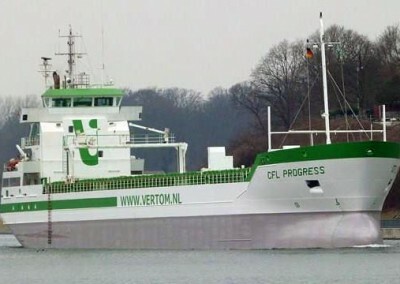 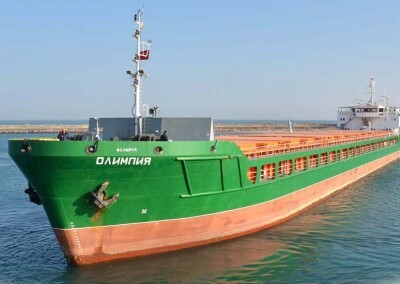 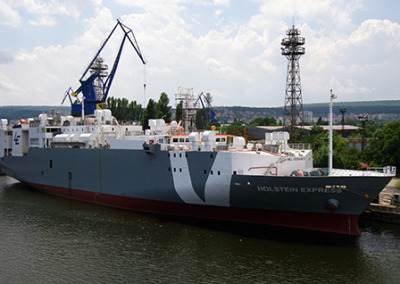 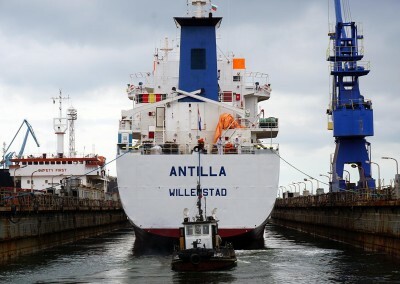 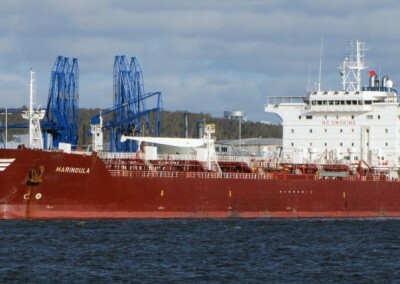 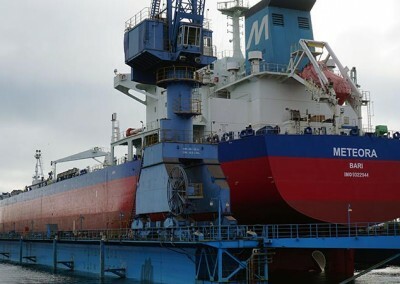 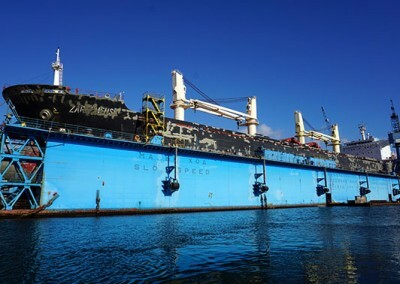 The vessel was docked and docking repair was performed on rudder and CPP tailshaft (disassembly of propeller blades, hub, transportation of tailshaft to workshop; propeller blades and hub – complete dismantle and overhaul). 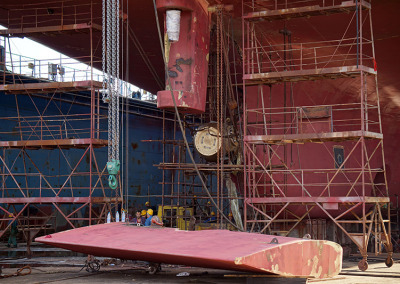 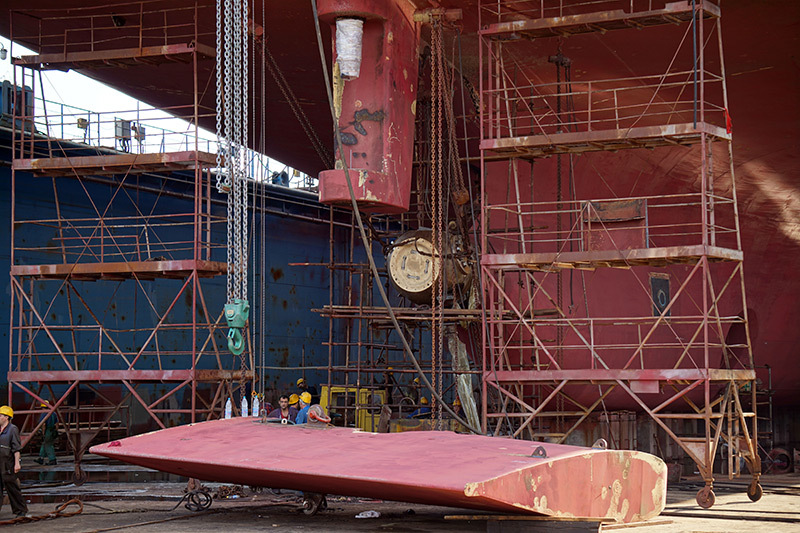 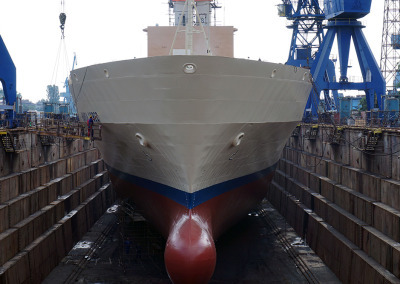 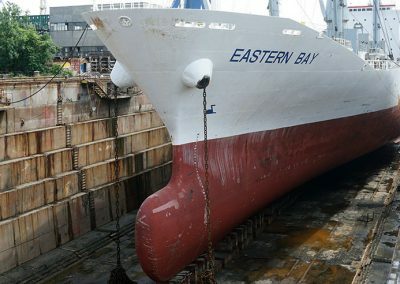 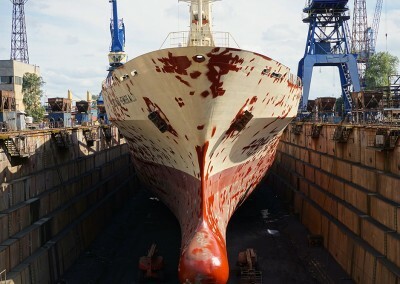 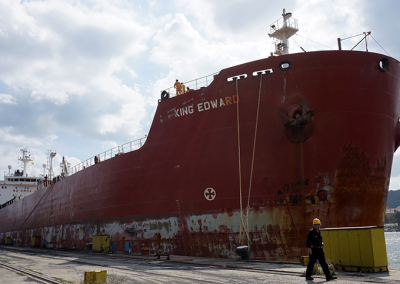 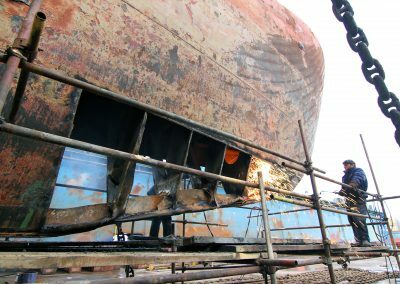 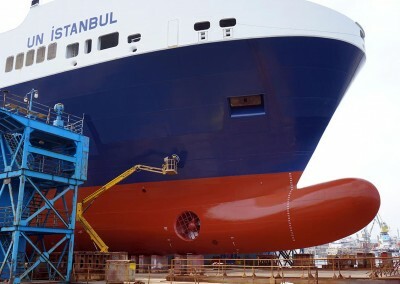 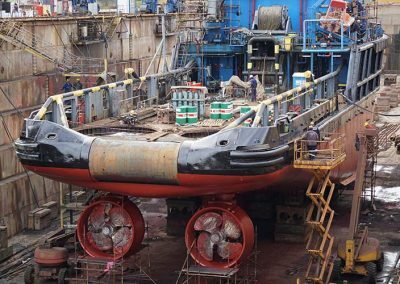 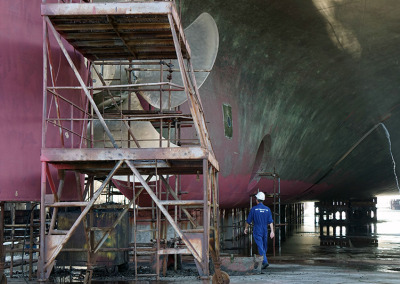 Standard drydock works were carried out – washing, blasting, hull painting, taking measurements on the propeller-rudder system. 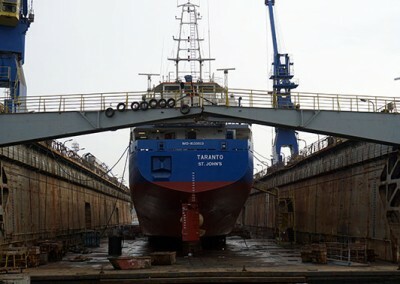 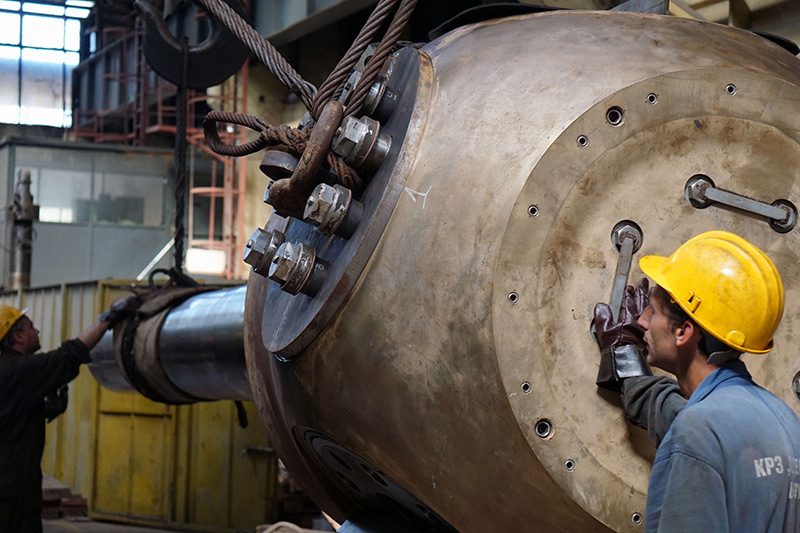 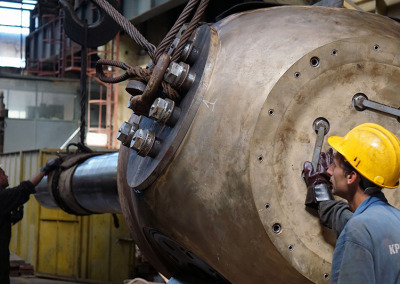 In addition, a lot of steel work, mechanical works and pipeline modifications were carried out. 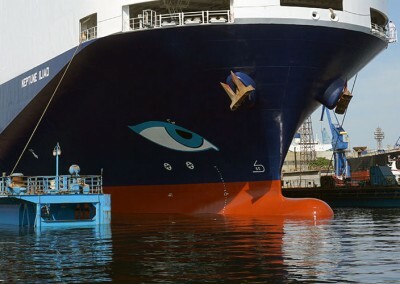 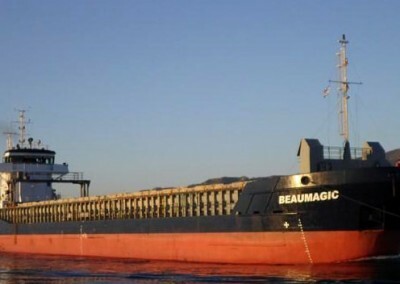 The ship sailed repaired, new painted with portrayed eyes, which we wish to see only tailwind and successful voyages! 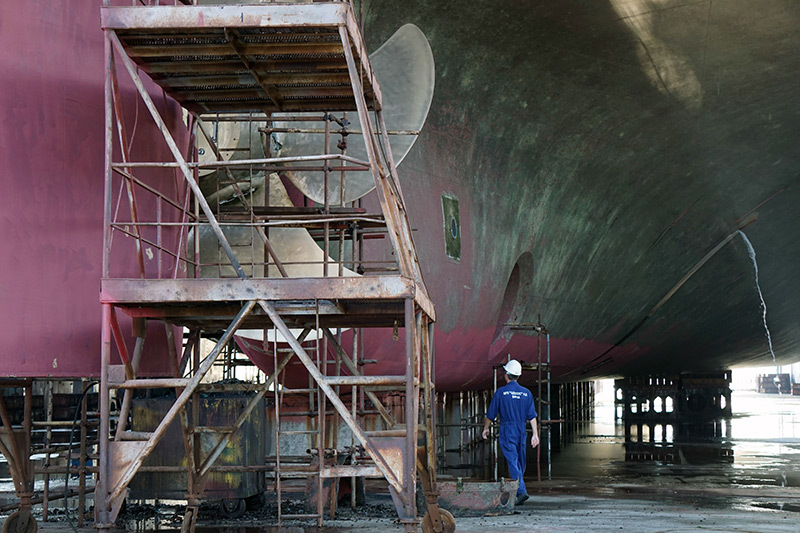 We thank the crew that they contributed to filming the repair of the M/V Neptune Odyssey!